Blocked and clogged drains should not stay that way for long. 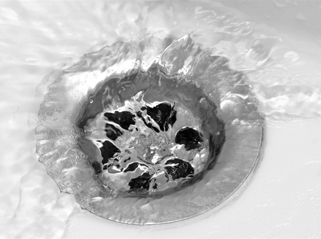 If drains remain clogged then it can lead to problems such as flooding or bad smells from stagnant or dirty water. Drains that are blocked cannot do the job, which they are supposed to do. Not everyone Is able to clean out their drains properly or the blockages are too far down to be reached by ordinary cleaning products or plumbing tools. In such instances you should hire a Drain cleaning in Phoenix, AZ company to deal with clogged drains. In this district our company is the best one for dealing with clogged drains. It might not seem such a problem during the driest part of the summer yet one heavy downpour could flood your home or garden. We have been sorting drains in the local area for several years now and during that time we have prevented homes and businesses getting flooded as clogged drains were clear by the time it rained again. We operate on the concept that prevention is better than cure. The price we charge for cleaning out peoples' drains is certainly a better way for them to spend their money than having to pay for flood water to be removed or replacing expensive carpets and furniture. Our Drain cleaning in Phoenix, AZ teams quickly and expertly unblock drains with extra strong cleaning products, rods, plungers, and pumps.